Walk your way to improved Health and Fitness! Are you a BEGINNER? Do you want to improve your health and fitness? Did you know that WALKING is a great exercise? We offer a safe, welcoming place for you to get fit, make friends, and have fun! At Fleet Feet, we encourage you to exercise at your own comfortable pace and we are focused on YOUR success. To learn more, attend our informational meeting Thursday, April 28th at 6:30 p.m. at Fleet Feet Morrisville. Weekly Workouts: Monday and Wednesday at 6pm at Fleet Feet Morrisville. Make time in your schedule: Plan for at least 1 hour for your workout and come dressed to walk. You need to allow time to get your workout completed and then have time for our post-workout stretching routine. We will teach you good habits! You must to REGISTER to participate in this program. There is no fitness requirement to join Walk Fit. This is a beginner program. This is an “adult program” but children under 18 can join. If a child registers (under 18), a parent must also register and walk with the child in the group. Strollers are welcome! If you have NOT been exercising, we strongly recommend you consult with your doctor before starting this exercise program. Special product offers and more! 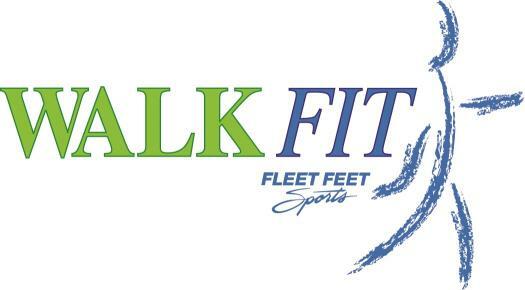 The official Walk Fit Training Schedule will be handed out at our first workout on May 2nd at 6pm at Fleet Feet Morrisville. You will need to come dressed to walk the first evening. Come and get fit for shoes by one of our experienced staff to make sure you are ready to go on the first night! Program Start: Monday, May 2nd at 6:00 p.m. Program Schedule: Mondays & Wednesdays at 6 p.m. Description: Are you a BEGINNER? Do you want to improve your health and fitness? Did you know that WALKING is a great exercise? We offer a safe, welcoming place for you to get fit, make friends, and have fun! At Fleet Feet, we encourage you to exercise at your own comfortable pace and we are focused on YOUR success.